Join our Team to Help B.A.P get back on Track! Working on BYS may be tiring sometimes, but some of our staff has been working on the site since its debut: The feeling to know that we help thousands of fans and contribute to B.A.P’s success worldwide is just worth the job. We have more than 40 staff dedicating time to the site. We are looking for motivated, dedicated, reliable, responsible and hardworking staff in order to manage BYS correctly and offer the best to fans/do more for B.A.P. To grow as a more responsible, reliable and sociable person; qualities that will help you on the job market and even in your personal life! *Our Admin Tutorial will help you to know how to update the site, how to share your updates on our SNS and how to search for updates. Be committed to the site: You have to include BYS in your schedule and dedicate an average of 12 hours a week to the site. Be reliable: We have to always be able to count on you. If you aren't available for one of your shifts, you need to tell the managers and the other admins and make sure there will be someone to replace you. Be comfortable with research of information (mainly on Twitter). Be able to work fast, even under pressure. Sometimes the admin job is tiring and stressful, but you need to finish the work correctly. To apply, fill up the form at the end of the page. Good luck! Translate interviews and videos from Korean to English. Check the BYS STAFF private group and look for admin's post asking for Korean-English translations. When you are done translating, you will have to upload your translation on the group and admins will update the site. The K-Translator will occasionally participate in organizations of projects or in representing the site for events. Be committed to the site: You have to include BYS in your schedule and dedicate an average of 5 hours a week to the site. Have a good comprehension of Korean. Have good grades in the language you are translating: we want to ensure the quality of grammar and sentence structure of our translations. Be available: We need you at least 3 hours a week and you need to be available everyday to check for new translations and split the work with other translators. We want to be able to post the translations within a reasonable slot of time. Be reliable: We have to always be able to count on you. If you aren't available to do your job, you have to tell the managers and the other translators and make sure there will be someone to replace you. Translate interviews and videos from Japanese to English. Check the BYS STAFF private group and look for admin's post asking for Japanese-English translations. The J-Translator will occasionally participate in organizations of projects or in representing the site in events. Have a good comprehension of Japanese. Translate interviews and videos from English to your native language. Check the translation's list everyday and communicate with other translators of the same language to split the work. We have translation deadlines and it's the responsibility of our translators to manage their time well to finish the translations on time. Translators do not have to update the site with the finished translation - our Translator's Manager is in charge of this. The Translator CAN occasionally participate in organizations of projects or in representing the site in events. Be fluent in the language you are going to translate. Have a good comprehension of English. Help to represent the site at all sort of local events (festivals, expos, flash mobs, meetings, concerts, school booth, etc.) by distributing flyers, photocards and promoting B.A.P. 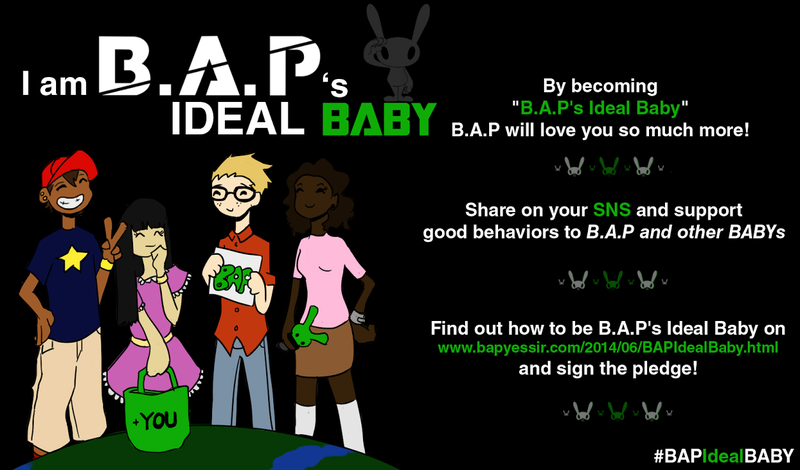 Help to introduce B.A.P and the site to new people on different fanbases, forums and groups. Help to create and maintain partnerships with other fan clubs of your country so that BYS can exchange information and then promote B.A.P to more people. Take care of the BYS blog (DDOB) and online fan meetings when available. Occasionally participate in organizations of projects and events. Be committed to the site: You have to include BYS in your schedule and dedicate an average of 3 hours a week to the site (more when there are projects and events coming up soon). Be comfortable with communication, spreading the word about, or promoting. Have good abilities in web researches. Be reliable: When we are counting on you for participating in an event or a project, it's really important to tell us of any unexpected event that may modify your availability. To apply, fill up the form below. Good luck! As of 14/10/16, we will now get back to ALL applicants and after a small interview with each of them, we will select the applicants who are the most qualified for the position. If you haven't received any message from us after an application, that means we are already overstaffed for the position you applied. We will keep your name in our data and if we ever need to recruit again, we may contact you. Thank you!